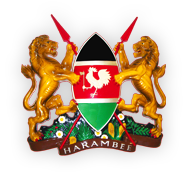 Diplomatic relations between Kenya and Germany were established in 1963. Germany was the first country to recognize Kenya after independence. The two countries have a tradition of close partnership and relations between them are warm and cordial. Kenya has maintained a diplomatic mission in Germany since 1964, initially in Bonn, West Germany and subsequently in Berlin after Germany’s unification. The Kenya Government also has an honorary Consul in Hamburg. Several thousand Kenyans live permanently in Germany.